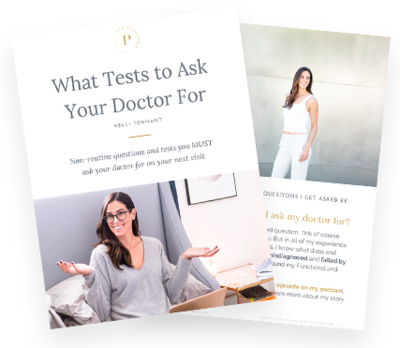 Want to learn what types of questions and tests you should be asking your doctor for on your next visit? This is my favorite subject! 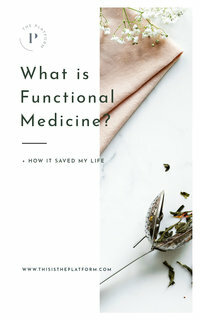 Even with all of my access to doctors and alternative medicine, I still didn’t know anything about functional medicine until the summer of 2017. And I’m guessing that you probably don’t know too much about it either. Like what you hear? Leave a review on iTunes so we can reach more people who might be on a similar journey. It's the only way to help us grow! I don’t believe in BIRTH CONTROL. When you’re 16 and you’re not having a menstrual cycle at all, and your doctor tells you it will affect your fertility, you panic. One of my favorite people is back for part two of his guest blog series with us! My trainer and the founder of Kinection, Ryan Hodge, is talking through habits that make us better. This week on the blog, I decided to change things up a bit and feature a guest blog written by my dear friend, Dr. Kristin Moore, DC. She talks about the potential link between our exposure to our electronics and our health. Could Electromagnetic Fields Be Affecting Your Health? 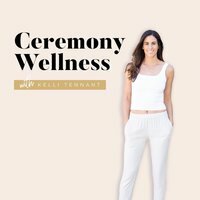 Welcome to the very first day of Ceremony Wellness! I’ve decided to switch things up a little bit, with a new name for the podcast, a new website, but the same amazing guests and conversations. This transition has been a long time coming, and I couldn’t be more excited to share this with all of you. My wonderful friend, Tiffany Louise is back on today’s episode! If you haven’t already, be sure to listen to her first episode. Today, Tiffany and I are celebrating the launch of her brand new book,This Year I Will. My guest today is Jeroen De Wit, a past life regressionist. Jeroen is also certified in Reiki, Emotional Freedom Technique, EMF Balancing Technique, Quantum Touch and Dolores Cannon QHHT practitioner.